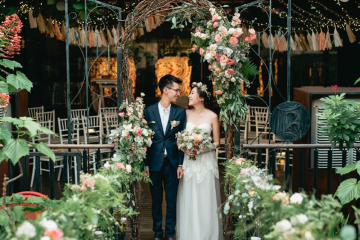 There’s something so enchanting about an outdoor wedding in Singapore: lush greenery, abundant daylight and scenic, natural backdrops versatile enough for any theme – the sky’s (literally) the limit! 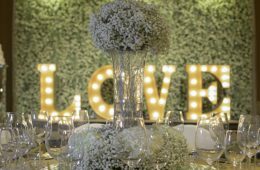 Best of all, an out-of-the-ballroom locale creates a head-over-heels romantic and inviting atmosphere, perfect for small, intimate ceremonies amongst your closest family and friends. From the sprawling lawns of nostalgic colonial mansions to cosy, open-air bistros, we suss out 15 of the city’s most magical outdoor wedding venues. 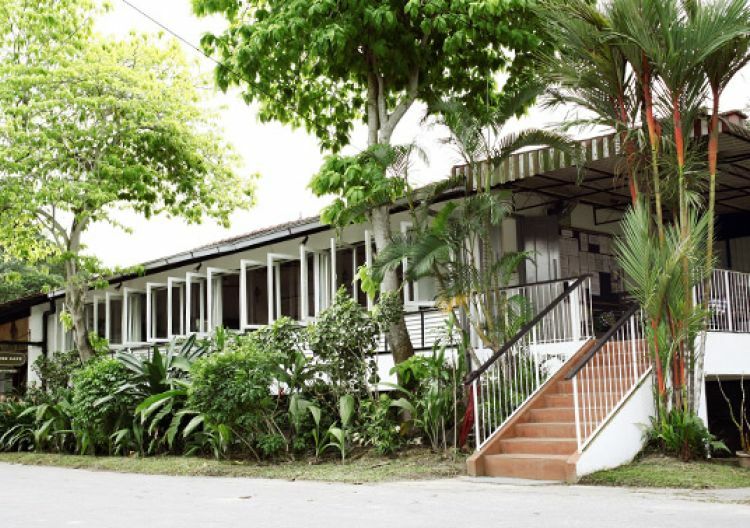 Located within the verdant grounds of Botanic Gardens, this restored colonial house is perfect for couples who prefer – and are up to the challenge of – a fully customised wedding. A two-storey venue, the maximum capacity is 180 persons and bookings must be made for a minimum of four hours. The non-air conditioned (but well-ventilated) building is a majestic sight to behold when gorgeously accentuated with lush flowers and twinkling lights. Burkill Hall, 1 Cluny Road, Singapore Botanic Gardens, Singapore 259569. 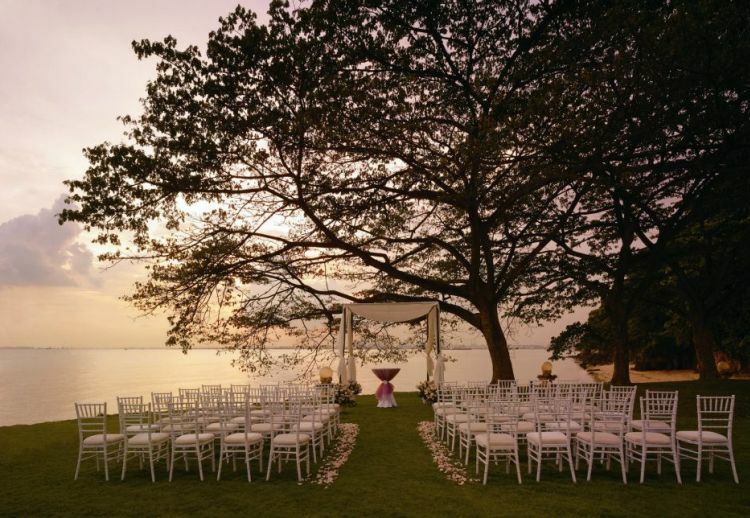 Yet another hot wedding spot in the lush Botanic Gardens the tranquil Halia restaurant's exclusive event space, Villa Halia. 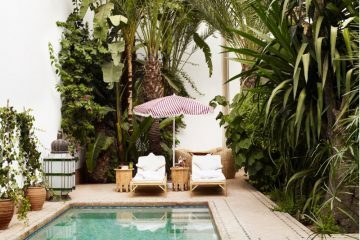 The venue features three function areas – the Courtyard, Gallery Room and Drawing Room – which emphasise the luscious surrounding foliage. 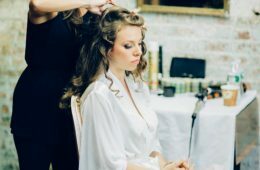 To make your wedding planning a breeze, the Villa Halia also offers in-house stylists, photographers, make-up artists and even wedding cake experts. 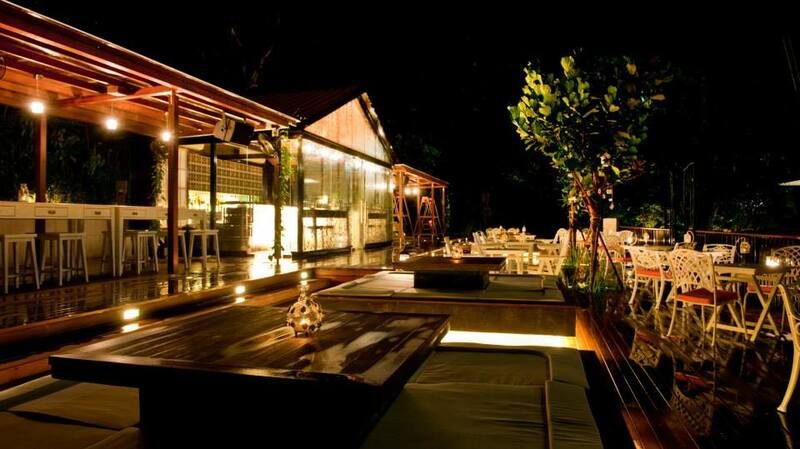 Villa Halia, 1 Cluny Road, Singapore Botanic Gardens, Singapore 259569, p. 6287 0711, e. banquet@thehalia.com. 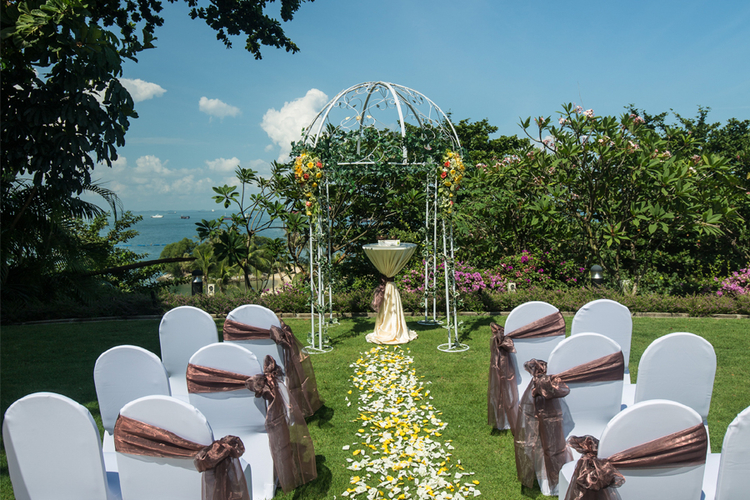 Picture saying “I do” at the top of a cliff, with tropical-coloured petals strewn all around you and the breeze gently blowing through your hair. 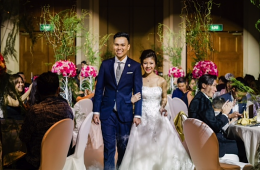 At Sofitel Sentosa Resort & Spa, you have the option of exchanging your vows against Spice Island Point's panoramic views of the South China Sea and then throwing an intimate (yet raucous) party within the privacy of your own villa at Villa Du Jardin. Sofitel Sentosa Resort & Spa, 2 Bukit Manis Road, Sentosa, Singapore 099891, p. 6708 8310. Known as “the Glass Chapel”, the Glass Pavilion of Amara Sanctuary Resort is nestled amid 3.8 hectares of pure greenery and tranquility. Adding to its charm is its antique chapel bell, a waterfall (think of the envy-inducing photo ops!) 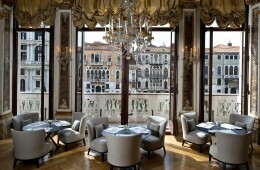 and stylish, transparent glass chairs furnishing the pavilion. Amara Sanctuary Resort, 1 Larkhill Road, Sentosa Island, Singapore 099394. This two-storey Tudor mansion perched atop Telok Blangah Hill was once the venue of choice for high society parties. 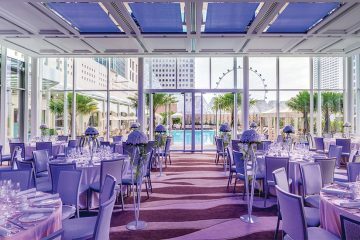 Today, the lovingly-restored grand dame stands proudly as the city’s most beautiful dining destinations, and a coveted spot for dreamy weddings. 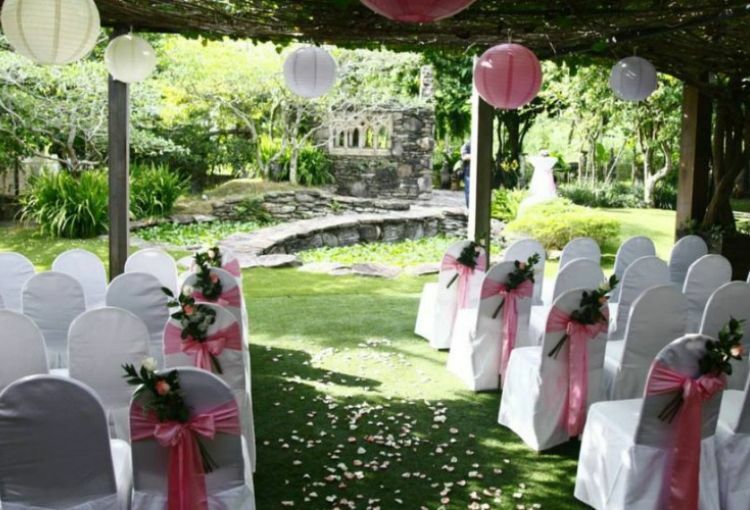 The European-style fountains, immaculate lawn and romantic gazebo makes it an absolutely perfect setting for tying the knot, especially if you’re a garden-party girl at heart – like us! 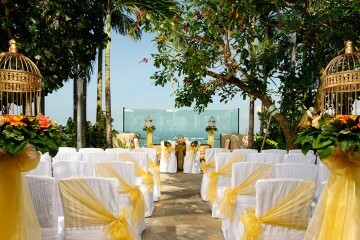 Alkaff Mansion, 10 Telok Blangah Green, Singapore 109178, p. 6510 1010, e. events@alkaff.com.sg. It’s hard to believe, but in the middle of the city's high-rise buildings, snarled-up traffic and shopping pantheons lies a charming spot of utter quietude. Formerly an abandoned colonial building, Emily Hill is now a spot for creative talks, demonstrations, workshops and performances. 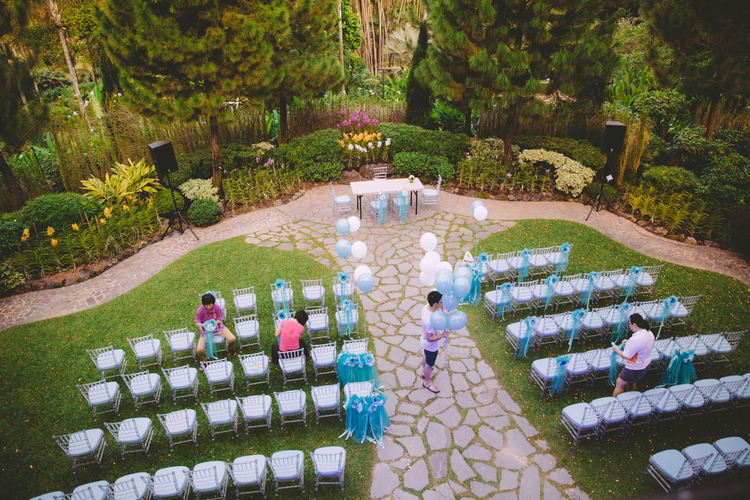 The spacious lawn is a gorgeous space for large receptions and is especially beautiful with fairy lights, lanterns or candles illuminating the path. Emily Hill, 11 Upper Wilkie Road, Singapore 228120, p. 6337 1757, e. admin@emilyhill.org. 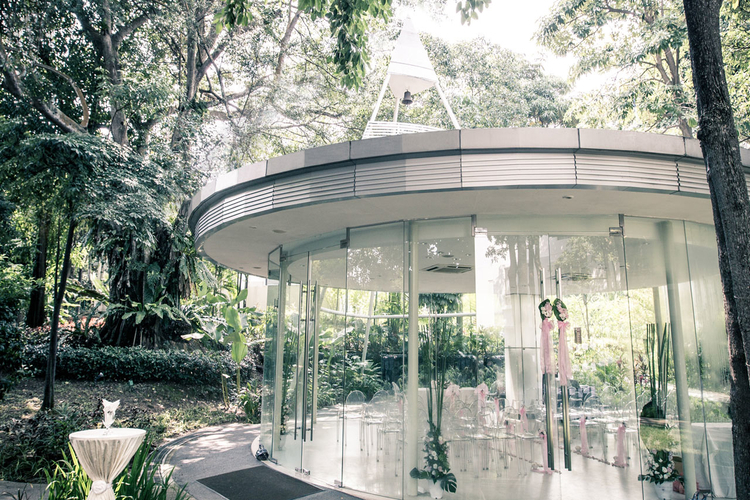 Leave your guests in awe when you say your vows from the top of Mount Faber, at the Garden at Faber Peak Singapore. Offering magnificent views of the harbour, the garden is framed by picturesque hiba wood arcs, magnificent glass architecture and aged angasana trees that give guests shade and tranquility in balmy weather. Faber Peak Singapore, 109 Mount Faber Road, Singapore 099203, p. 6377 9688. 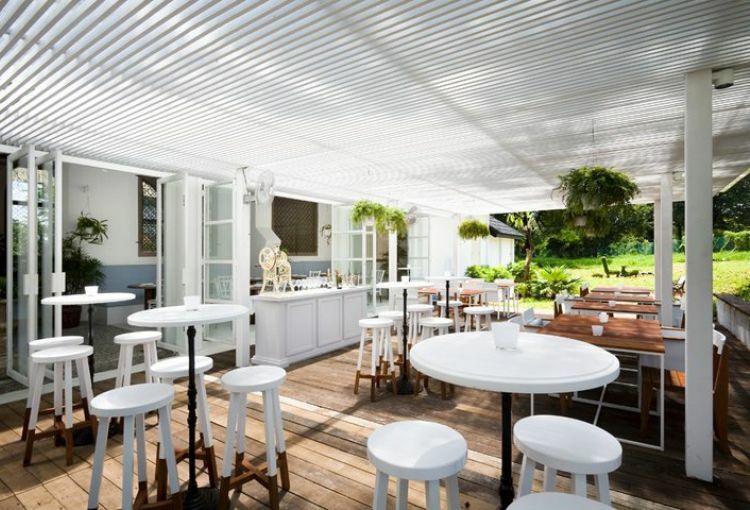 Oozing rustic charm and utter serenity is Rider’s Café, a popular brunch spot located within the greenery of Bukit Timah Saddle Club. 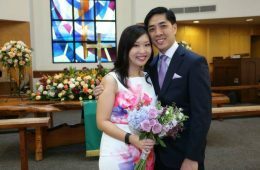 With high ceilings, large white windows and balcony doors, the café is a unique escape from the city's bustle, and provides a stunning, casual backdrop for more informal, garden weddings. 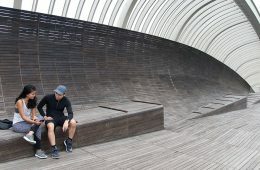 Rider’s Café, 51 Fairways Drive, Singapore 286965, p. 6466 9819. Nosh's colonial setting within the quiet and charming enclave of Rochester Park offers a relaxed environment for couples with its sizeable yet cosy space. 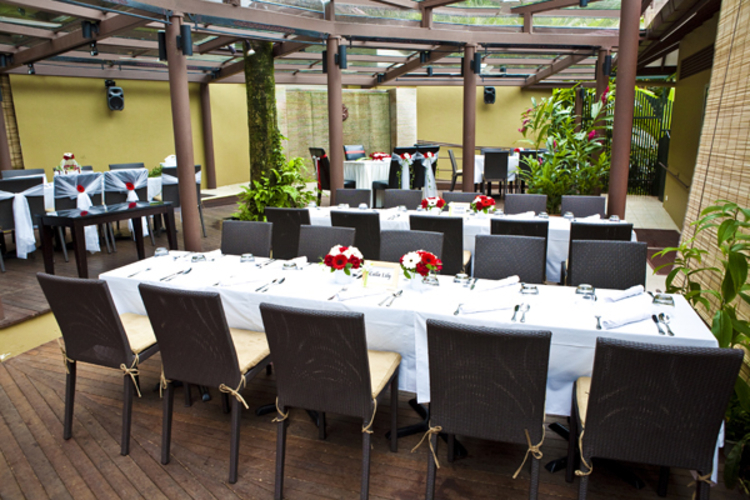 The restaurant can accommodate up 1o 150 guests on its alfresco deck and just under 200 for the whole venue. 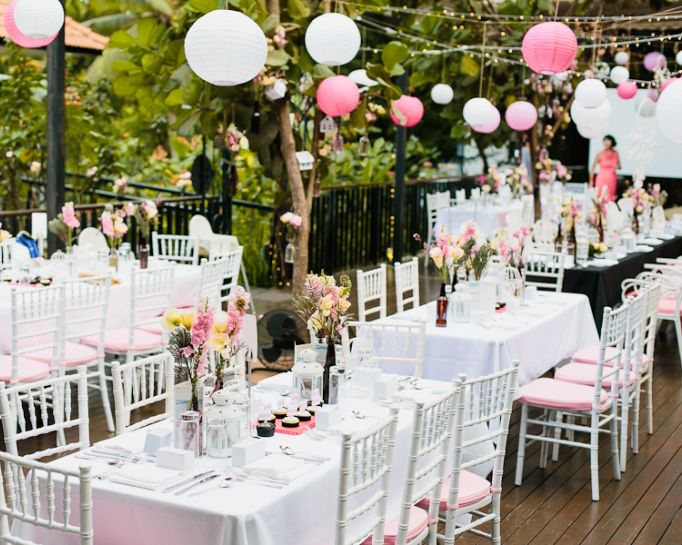 The pristine white tables and chairs in its outdoor area will gorgeously complement any bright florals, lush lanterns and other unique bits of decor you have in mind. Nosh Rochester House, 9 Rochester Park, Singapore 139220. If you and your partner have a thirst for adventure, and a love for animals big and small, why not kickstart your happily-married life at Jurong Bird Park? A fun and exciting alternative to a ballroom wedding, say your vows at the African Waterfall Aviary, a breathtaking man-made waterfall and home to over 1,500 beautiful birds. To symbolise your union, you can even release a pair of Loverbirds into the air. Birds not your thing? Celebrate your nuptials at the Singapore Zoo, where you can arrive in a horse-drawn carriage and dine in open-air serenity surrounded by the lush rainforest. Jurong Bird Park, 2 Jurong Hill, Singapore 628925. Singapore Zoo, 80 Mandai Lake Road, Singapore 729826. 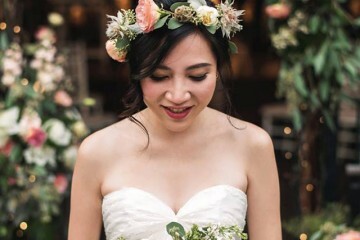 This natural outdoor gem, located within the farms of Kranji, boasts five venues that can accommodate parties of all sizes, with a series of cool, earthy perks that come with each. 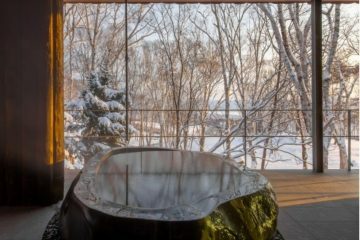 These include green gifts for guests, organic wedding menus, blood-free diamonds and wedding cakes made with on-site ingredients. P.S. 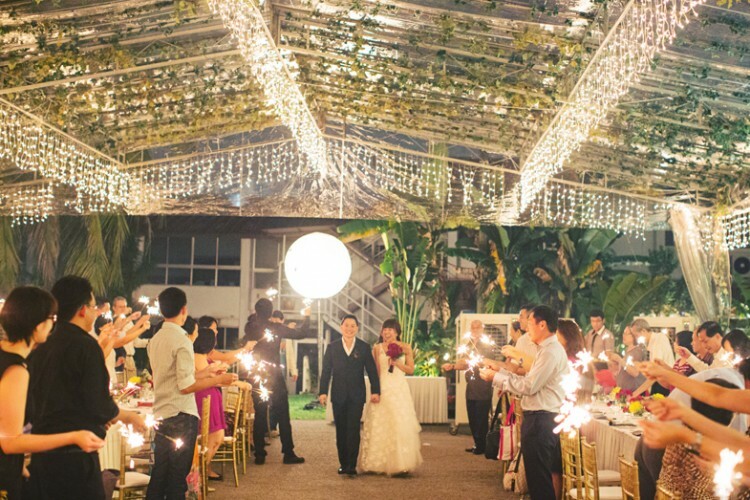 : Gardenasia’s wedding planners can throw in a complimentary bus to chauffeur your guests to and from Kranji. Hurrah! Gardenasia, 240 Neo Tiew Crescent, Singapore 718898, p. 6336 5881. 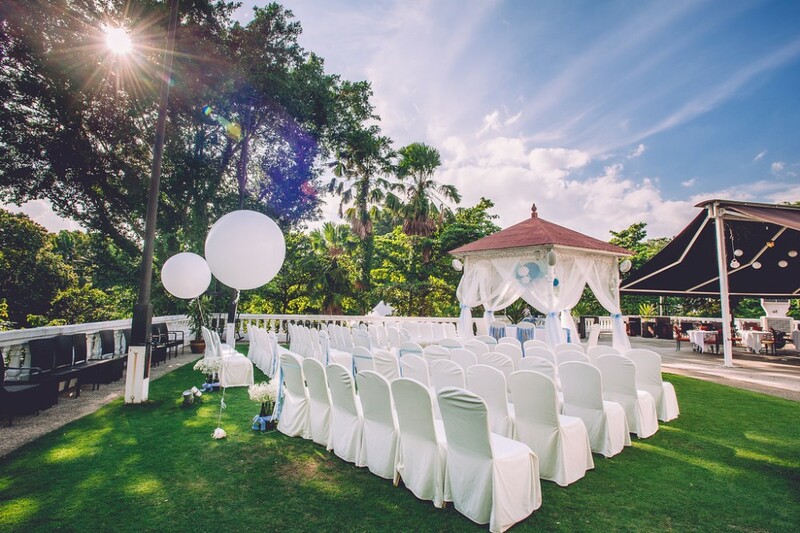 For a picturesque way to say your “I Dos”, let the Garden Terrace at Fort Canning Hotel sweep you off your feet with its pristine lawns and, of course, the grand hotel as a handsome backdrop. 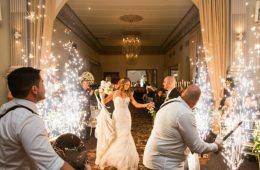 Whether by daylight or starlight, this venue – decorated with gorgeous lanterns, hanging decorations and flowers – is set to be an absolute stunner for any wedding. Fort Canning Hotel, 11 Canning Walk, Singapore 178881. Step into this 1940s-restored-chapel-turned-restaurant and you’ll see why it's a hot fave among brides-to-be. The main dining area is eclectic and otherwordly, with its long, rustic tables and stained glass windows. 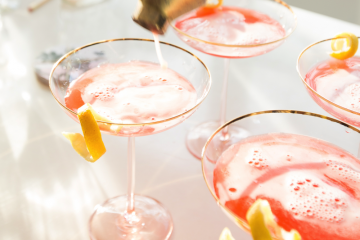 What truly has us enchanted, though is The Rabbit Hole, a garden bar with lush greenery and lawn furniture – très Wonderland-esque – and plenty of dancing space too. 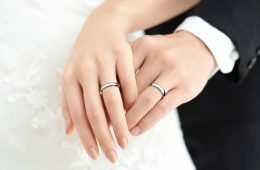 Packages here are geared towards intimate solemnisations and gatherings. The White Rabbit, 39C Harding Road, Singapore 249541, p. 9721 0536. 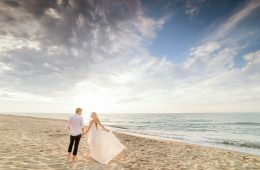 For a swish wedding by the sea, this beachfront resort should top your list of options. 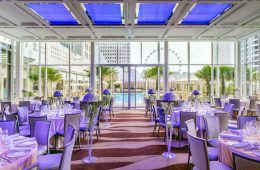 Seal the deal with a sunset solemnisation by the waterfront before trooping into the Horizon Pavilion where you’ll dine with sweeping views of the sea, thanks to the enormous floor-to-ceiling windows. Shangri-La Rasa Sentosa Resort and Spa,101 Siloso Road Sentosa, Singapore 098970, p. 6371 2985, e. events.sen@shangri-la.com, . 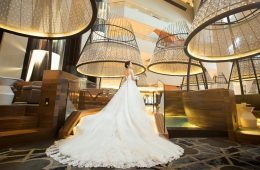 Since her first stint in bridal journalism two years ago, Nafeesa's been smitten with all things wedding-related. Aside from religiously scouring Pinterest for images of gorgeous white peonies and floaty Vera Wang dresses, Nafeesa spends her free time curating Spotify playlists, planning her next tropical vacay, and obsessing over Game of Thrones fan theories.